For the past couple of years I have been writing an article in AirMail about “Airport’s in Action.” In each issue we have presented several EAA and VAA Chapters around the country whose membership places a priority on developing young people. I have been very pleased to find that a large number of these chapters have very active youth programs. Going forward this column will present “Youth in Action” – stories about young people who are in the process of developing an aviation career. The purpose is to inspire other young adults to follow their example and to motivate those chapters without a youth program to start working toward that goal. One such group that has a great youth program is EAA Chapter 79 located at Felts Field in Spokane, Washington. Chapter President Jack Hohner wrote an article for AirMail about this chapter in the December, 2014 issue. Knowing how active this chapter is I contacted Jack for assistance in finding a young person for this month’s “Youth in Action.” He was quick to respond giving me the contact information for a very talented young man who received his start with Chapter 79. Gleb Liashedko is originally from Russia having moved with his family to the United States when he was nine years old. Gleb’s first exposure to aviation was when he traveled to Russia to see family members still residing there. He stated that “…..we would always fly on Lufthansa Airlines. 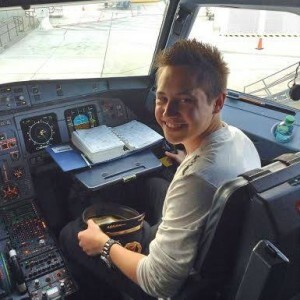 To this date, this is my favorite airline because of the customer service and the pilots who were willing to talk to this young enthusiast.” All of us who are pilots should take note. Often we do not realize what an impression we make on a young person by simply talking to them and allowing them to see our airplane. This simple act can make a lasting impression. Gleb is a very active 19 year old who is pursuing a B.S. degree in Aviation Business Administration. Initially Gleb’s goal was to become a commercial pilot. 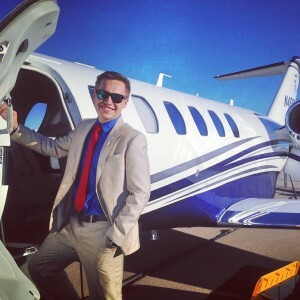 However, during his senior year in High School he developed an interest in business and political science but he did not want to abandon his passion for aviation. 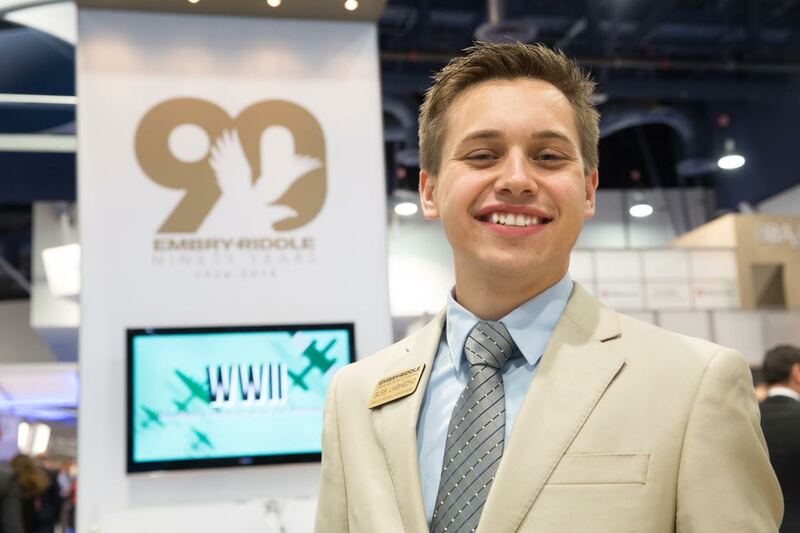 He realized that Embry-Riddle has a business program with emphasis on aviation so he was accepted into their program and now he is a freshman at Embry-Riddle Aeronautical University at their Prescott, Arizona campus. So how did Gleb become interested in aviation? His first general aviation flight occurred in May, 2011 at Felts Field. Chapter 79 was giving Young Eagle rides and EAA member Christian Sturm offered a ride to Gleb in his Piper PA-14. This sparked an interest that was increased dramatically when the chapter sponsored him to go to the EAA Air Academy in Oshkosh that same summer. Gleb has been a volunteer with the Young Eagle’s ground crew ever since that summer. He remains active as a volunteer. I ask Gleb if he had any interesting flights and he mentioned one in particular from Spokane to Deer Park in a Super Cub. The pilot asked if he would like to ride along and land on a mountain. Gleb thought he was kidding but soon found out that a small landing strip did in fact exist on the top of this mountain. They landed on the strip and turned around, took off, and returned to Spokane. Gleb mentioned that this was a real taste of “bush flying” that he will always remember. Gleb’s long term goal is to work for an aviation business or an airline in a management role. He also aspires to open his own business in time whether an aircraft leasing company, FBO, charter company, or to do consulting. Gleb’s advice for a young person interested in learning to fly is to first of all take a Young Eagle flight. He then suggests that if you are still interested take a flying lesson and see if this is something you want to pursue. Once you know this is something you want to do, get as involved as possible at a local airport preferably with a VAA or EAA Chapter. Sporty’s also offers a free online ground school course for Young Eagles. Take the course and schedule the Private Pilot written. Gleb says “If you really want to fly, there is a way to get it done. Gleb Liashedko is a young man with a dream. His dream will certainly take him on a journey in aviation. I feel quite sure that he will graduate from Embry-Riddle and pursue a long term career in aviation. I also am sure that Gleb will find a way to learn how to fly. As he says “I cannot explain the flying bug, it’s the passion you have in you and you just know that flying is something that you want to do for the rest of your life regardless of what career path you choose. One final point, Gleb was very appreciative of the EAA Young Eagle program and the opportunities that EAA Chapter 79 gave him. Without their help he would not be on the career path that he is on today. This same story can be told countless times around the country. In closing Gleb said “I think the pilots who fly Young Eagles have a tremendous impact on those kids. Although they may not realize, many of those Young Eagles go on to do amazing things in the industry even if it’s not flying.” Remember this the next time you are asked to fly for a Young Eagle day.